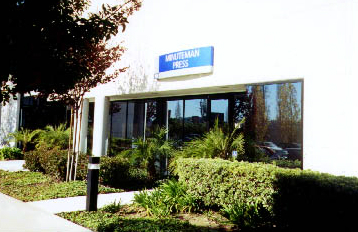 Welcome to Minuteman Press of San Diego, CA. Click Here to Order Your Holiday and Special Occasion Cards. Westfield UTC, located in La Jolla and one of San Diego's most popular shopping malls, plans to start charging for parking soon. There are a number of reasons for this decision. Chef Brian Malarkey is getting ready to open Animae on the waterfront in San Diego's downtown. The high-end restaurant will be located on the ground floor of the luxurious Pacific Gate condo building, at Broadway and Pacific Highway. Kevin Faulconer, the mayor of San Diego, and Hasan Ikhrata, the San Diego Association of Governments' (SANDAG) new executive director, have big plans for creating a transit hub that would connect the airport with public transportation. Welding students at San Diego Continuing Education (SDCE) are working on designing and building a float for the Martin Luther King Day parade.